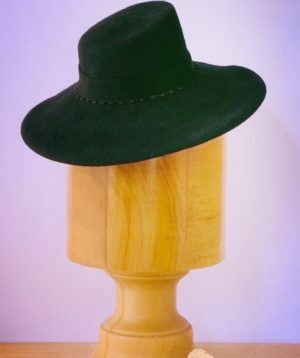 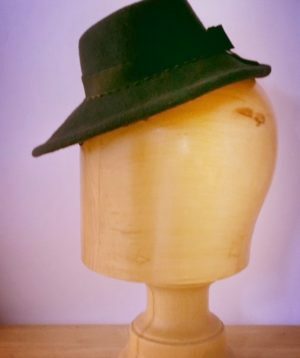 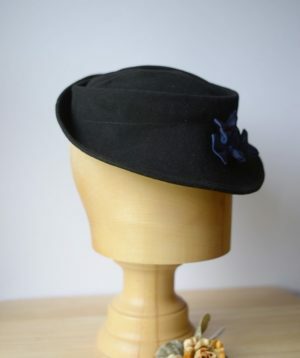 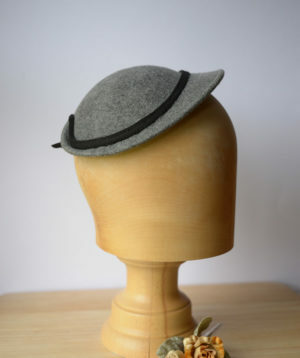 This is an exact reproduction of a popular French style woman’s fedora. 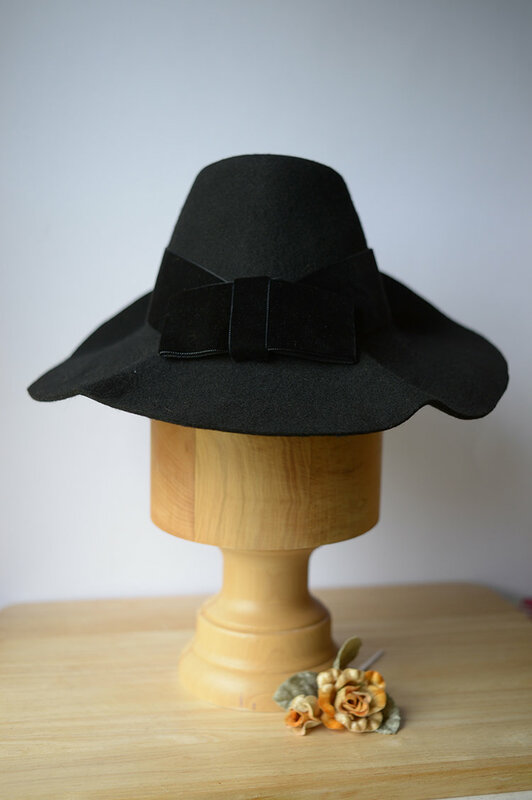 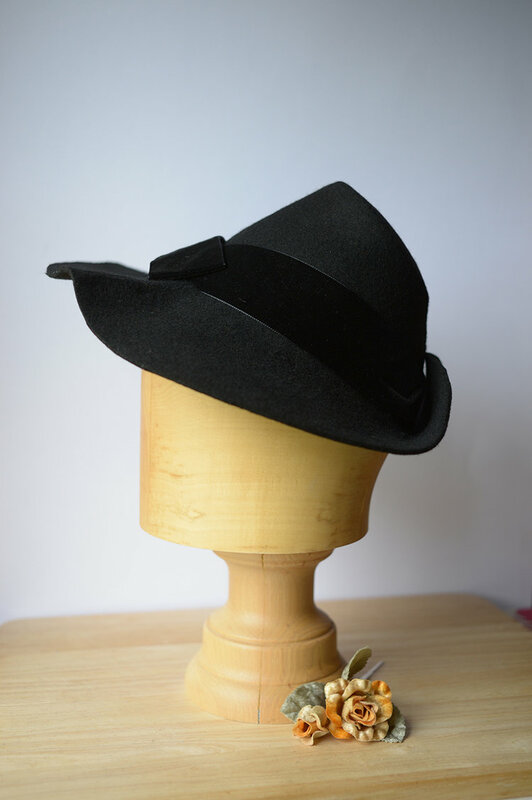 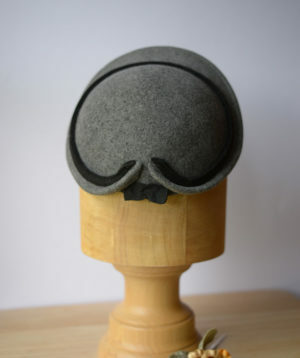 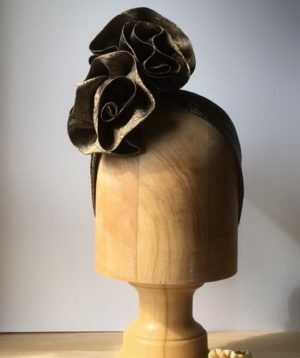 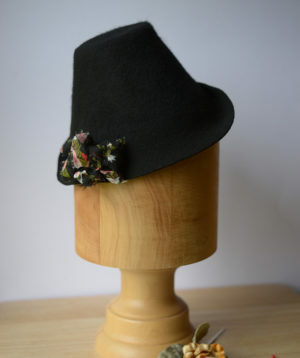 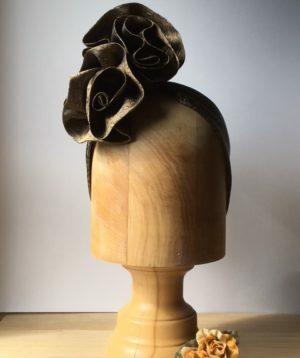 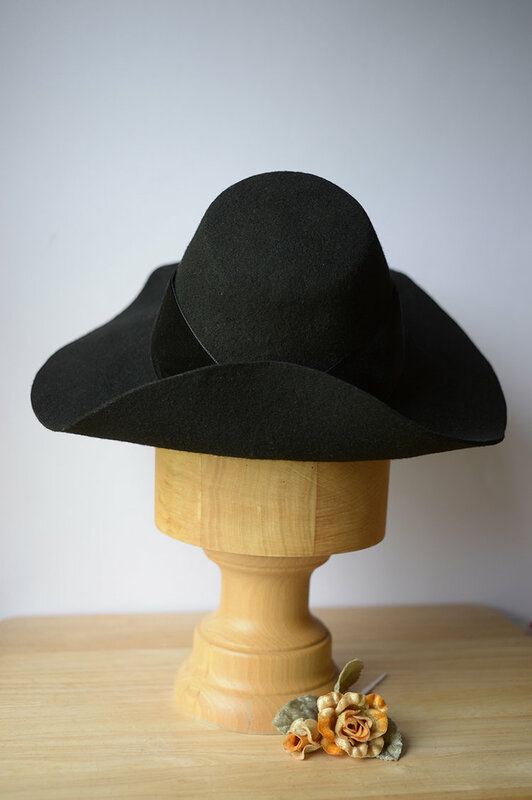 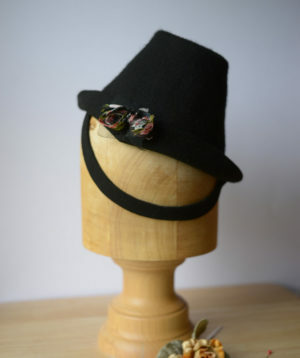 It is a heavy substantial felt, black with two front ridges, a turned up brim at the back and finished off with a wide black velvet ribbon and flat bow. 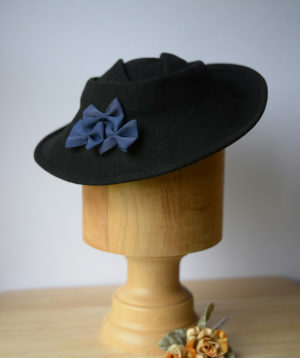 Always a popular hat with suit wearing re-enactors and winter weddings.